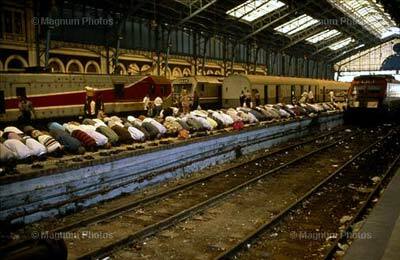 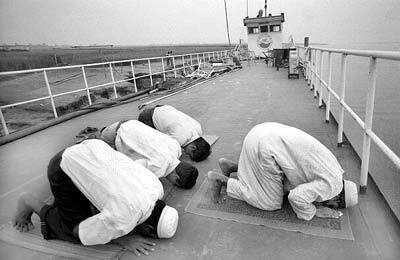 Muslims offering prayer inside a flight. 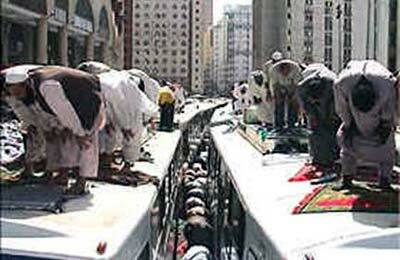 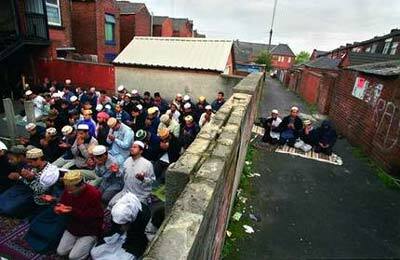 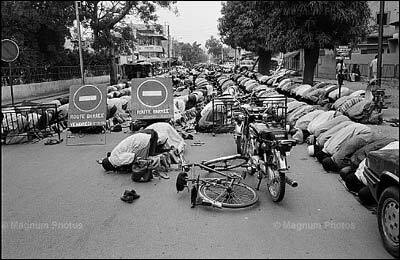 Muslims offering prayer on road. 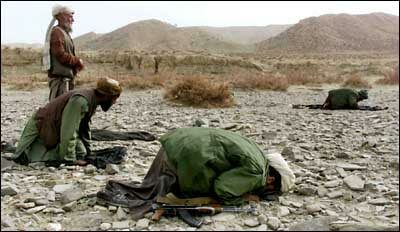 Afghan security guards with Kalishnikov rifles take a break for prayers. 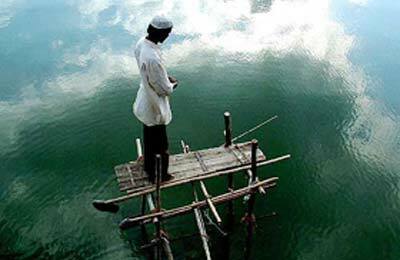 A youth offers prayer during Ramazan in mid of Upper Lake in Bhopal, India. 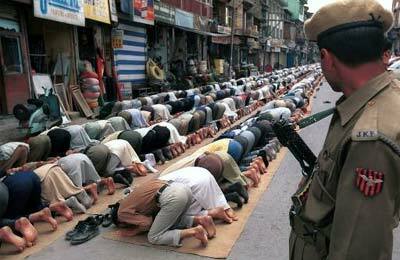 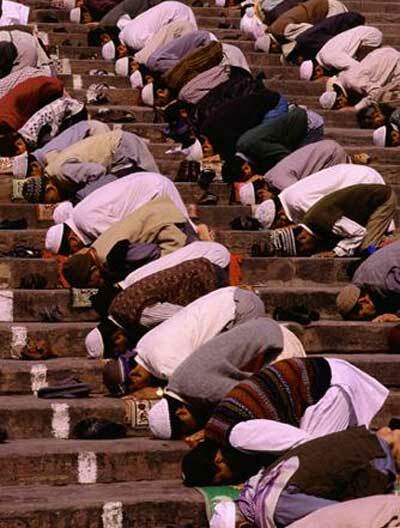 Muslims offering prayer in Kashmir, India.